A geopolitical conspiracy thriller, The Constant Gardener features a rich plot combining an eloquent love story with governmental meddling, corporate greed and exploitation. British human rights activist Tessa Quayle (Rachel Weisz) is killed at a remote lakeside location in rural Kenya. She was on a field trip with Dr. Arnold Bluhm (Hubert Koundé) who is now missing and a suspect in her death. Tessa's husband, low-level British diplomat and gardening hobbyist Justin Quayle (Ralph Fiennes), starts to investigate her murder. In flashback, the story of their first meeting and quick courtship is revealed, and they got married before they really knew each other. She was eager to join him in Africa, where she quickly set about exploring health issues. Tessa grew infuriated with a system enabling pharmaceutical companies to test potentially unsafe drugs on local populations, and demanded help and answers from British High Commissioner Sandy Woodrow (Danny Huston) and Sir Bernard Pellegrin (Bill Nighy) of the foreign office. Now Justin starts piecing together what his murdered wife was working on, and gradually uncovers the depth of a conspiracy stemming from the work of the mysterious Dr. Lorbeer (Pete Postlethwaite). An adaptation of the John le Carré novel directed by Fernando Meirelles, The Constant Gardener is a conspiratorial mystery wrapped in a tender and unique love story. Starting with an unglamorous death, the film delves into Tessa's story to reveal a vivacious young woman poking too hard at the normal course of modern colonialism. Infused with le Carré's trademark jaundiced pessimism around a world run by grey bureaucrats making all the wrong decisions, this is a grim, layered and uncompromising look at unstoppable corruption wrapped in the veneer of foreign aid. The film is made all the poignant by the retroactive nature of the love between husband and wife. Justin and Tessa married too soon and relocated to Africa. His low key style, metaphorically reflected in the deliberate care and attention he dedicates to his plants, proved too slow for Tessa. Off she went asking difficult questions across Kenya, and they drifted further apart. Insinuations about her having an affair with Dr. Bluhm did not help, neither did men like Sandy lusting after her behind Justin's back. It's only when Justin starts following the thread of his wife's death that he starts to genuinely get to know her and truly understand her affection towards him. Meirelles weaves this sense of growing attachment and appreciation towards a murdered woman with the unfolding story of exploitation and connivance, dramatically enhancing Tessa's impact despite her demise in the opening scene. Not everything about The Constant Gardener is perfect. Meirelles tries to cram too many events and characters into the film, resulting in some people and events left stranded, a long 129 minutes of running time and a somewhat rushed ending. 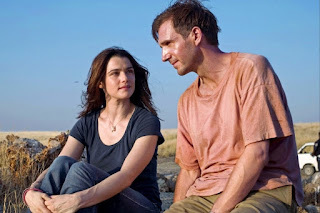 But enhanced by the stark yellows of the African landscape and a firecracker of a Rachel Weisz performance balanced by a low-key Ralph Fiennes, The Constant Gardener is a subdued yet scathing denunciation of realpolitik.